Kangen Water is micro-clustered alkalized water rich in antioxidants just like fruits and vegetables. Not all waters are the same, just like not all engine oils are the same quality. You use the best fluids for your car why not use the best water to hydrate your body? 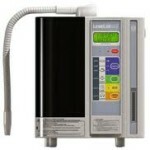 Buying a Kangen water machine is very easy. 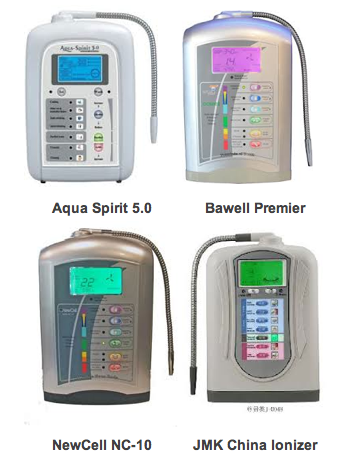 You can purchase one of Enagic's Water Ionizers online or simply go to one of Enagic's offices. 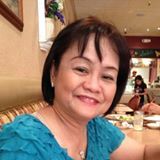 The Enagic offices in Los Angeles are located in Torrance, CA. 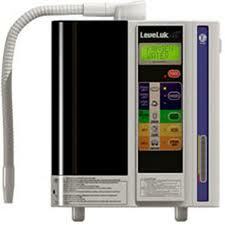 What is the Most Important Factor When Choosing an Ionizer? ​The engine size determines the strength and potency of the water as well as the COST. The larger the engine, the better the water and higher in price for each machine. 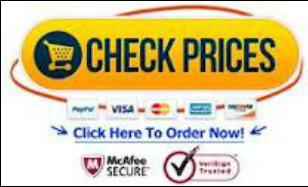 Some deceptive companies on the internet tell the consumer their Ionizers are the same as the Enagic SD501 but for cheaper. 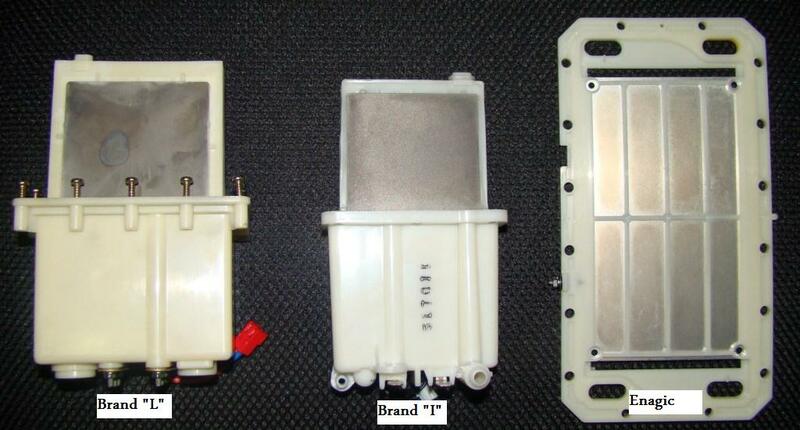 Instead of advertising their machines TOTAL ENGINE SIZE they highlight that their machines have the same number of electrode plates as Enagic’s seven Plate SD501… But number of plates are only part of the equation. They bank on the consumers lack of knowledge on engine construction. Every ionizer engine consists of electrode PLATES made up of Platinum and Titanium (This is where most of the machines cost comes from). The TOTAL SURFACE AREA of all the plates in the machine is the engines size. This can be calculated by each plates height x plate width x 2 sides x number of plates. This calculation gives you the engines actual size usually measured in square inches. 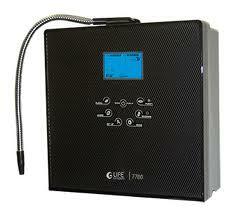 The Enagic SD501 is a 7 Plate Ionizer with each plate 7 inches by 5 inches. ​9 plate engine. Only has 441sqin. ​Non Serviceable Plates! 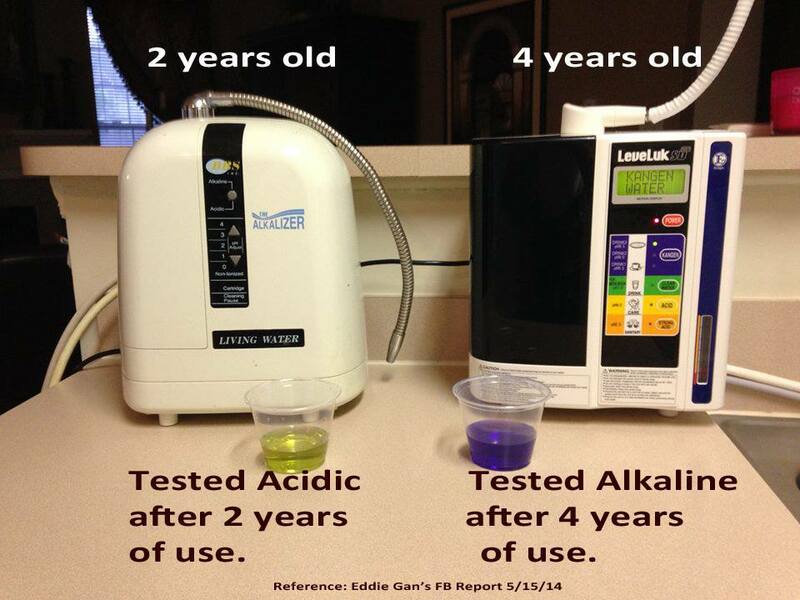 No other company but Enagic can remove hard water buildup from their plates. 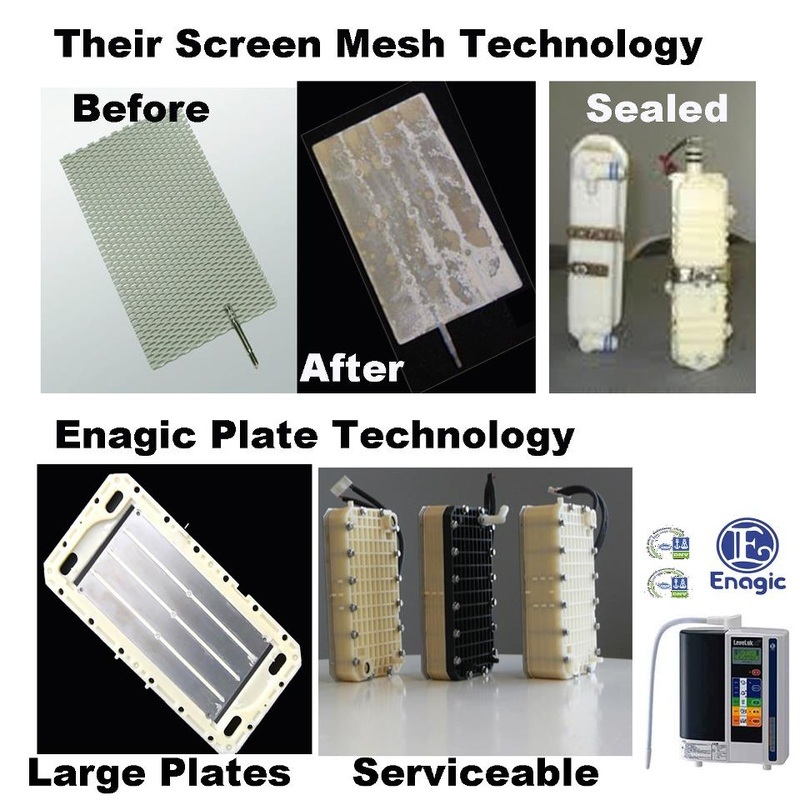 No other company but Enagic has brick and mortar service locations around the country to service their machines. Once your engine has hard water buildup your engine is no longer ionizing water. Enagic is the ONLY company that can disassemble their engine and clean the plates like brand new. This service only costs around $35-$45 dollars. 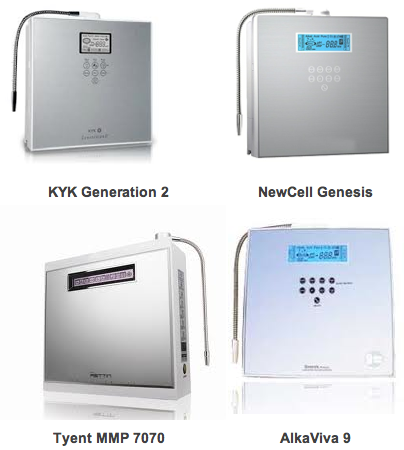 ​Aside from Enagic’s machines which are made by Enagic in Japan there are other companies in Korea who attempt to copy Enagic’s technology with cheaper material and sells the distribution rites to the general public to label and market as their own machines. NO CONTACT ADDRESS ON WEBSITE or Contact address is a home or small business. What this means is that the business you are buying from is actually a one man to 20 person operation who bought the licensing rights to rename and sell as their own product. Just Google Map the address and see for yourself. The ‘About Us’ page on the website tells little or nothing about the company their history or background. ​in a professional and controlled environment. or Call us today 1-818-263-9726 to learn about our affordable financing options available. 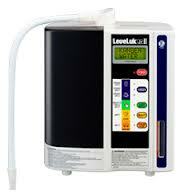 ​Get a Kangen Water Machine for as little as 0 down and $45 per month. Ask us HOW!